My personal vision of Aela. Thought I'd share it with everyone. Use this mod as you see fit. just mention me in passing. Special Thanks to FalmerBane. After using many of his beautifully done replacers, it inspired me to make some of my own. 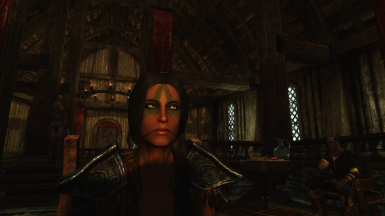 I always thought it was a bit odd that Aela is "the Huntress", yet she has somewhat paler skin compare to all the other Hunters/poachers in Skyrim. 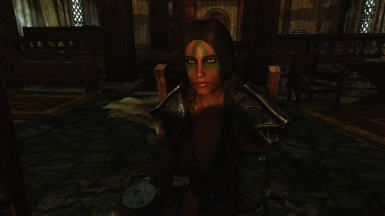 I started this mod to give her the bronze goddess skin tone to better match the other NPCs, but after tooling around with her other features, I ended up making a full on makeover. I made her quieter for stealth purposes, and she shouldn't trigger pressure plate traps. She has a few marksman perks, but nothing too powerful. Nothing else was changed aside from her looks. If you like it please endorse. **Note** There's a small bug right after you complete the rite and wake up naked outside the Silver Hand compound. 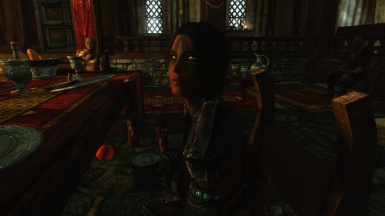 Aela's face is discolored, probably due to her turning into a werewolf. To fix this, save your game and exit Skyrim. In your mods loadout, just uncheck then recheck the Aela .esp and load your save. This should fix the problem. Use NMM or simply drop the .esp and the .bsa files into the Data folder. It's that simple. Use NMM or simply delete the .esp and the .bsa files from the Data folder. It's that simple. 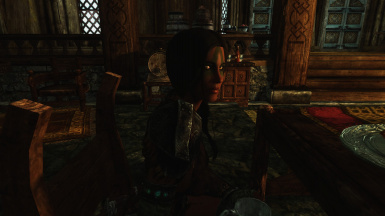 If you're using UFO (Ultimate Follower Overhaul - http://www.nexusmods.com/skyrim/mods/14037), make sure this mod is loaded AFTER UFO, or you'll get the discolored vanilla head bug. It may just be doing this on my machine, but I don't have the slightest idea why it happens.